Recon 2017: BinCAT: purrfecting binary static analysis, with Philippe Biondi, Xavier Mehrenberger and Sarah Zennou. Slides, Video, Github. SSTIC 2017: BinCAT: purrfecting binary static analysis, with Philippe Biondi, Xavier Mehrenberger and Sarah Zennou. Link, Slides (in French), Article (in English), Video, Github. H2HC 2016 and Ekoparty 2016: Lost your "secure" HDD PIN? We can help!, with Julien Lenoir. Slides, Paper, Video. Black Hat Europe 2015 : A peek under the Blue Coat. Link, Slides, Video. Ruxcon 2015: A peek under the Blue Coat. Link, Slides. Hardwear.io 2015: Attacking hardware for software reversers: Analysis of an encrypted HDD, with Joffrey Czarny. Link, Slides. SSTIC 2015: Analysis of an encrypted HDD (Hardware RE for software reversers), with Joffrey Czarny. Link, Article, Slides (in French), Video. SyScan 2015: The challenges in designing a secure hard drive. Slides, Video. SSTIC 2012: Sécurité de RDP, with Aurélien Bordes and Arnaud Ebalard. Link, Article (in French). DeepSec 2010: Android: forensics and reverse engineering. Slides, Video. SSTIC 2008 rump session on the Debian OpenSSL vulnerability: Slides. Rédacteur en chef du MISC hors série n°10. Édito. MISC n°51, septembre 2010 : Reverse engineering et forensics sur Android. MISC n°38, juillet 2008 : La faille OpenSSL/Debian. Security Seminar at LORIA : Sécuriser un grand parc Active Directory ? 2009, solution with Simon Maréchal. Arte offers a nice service to watch broadcastings you weren't able to see on TV. This little script makes it easy to download and archive the videos. Unfortunately, the service is limited to French and German residents. 2016-11-29 : 2.6 : fix site parsing, new handler for "Le Dessous des Cartes"
2015-11-08 : 2.4 : basic functionnality with new site. Use wget instead of rtmpdump. Download the latest release here: GitHub releases. You can find the code on GitHub too : https://github.com/trou/arteget. Panasonic includes lens distortion correction data in their RAW files as an EXIF tag. Unfortunately, they did not release the specification for this tag. Which is really annoying for people willing to use a RAW converter which is not vetted by Panasonic. 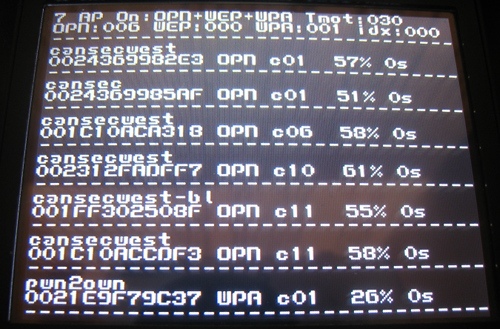 Inspired by this blog post : Dissecting Panasonic RW2 files. I decided to take the plunge and finally find out what's behind the format. $ exiv2 pr -ph -u sample.rw2 | grep -A2 0x0119 0x0119 PanasonicRaw 0x0119 Undefined 32 32 0000 29 54 9b 48 fc 00 00 00 69 01 00 00 e0 01 01 00 )T.H....i....... 0010 7f 0f 34 01 56 02 81 fb c4 09 28 03 ce 5a d6 8e ..4.V.....(..Z.. The data is only 32 bytes long, which should make it quite easy to parse. Words 0, 1, 14 and 15 are checksums, see the code for the algorithm. The rest seems to represent 2 types of data, but only one seems to be used, consisting of words 12, 5, 8, 4 and 11. Changing words 2, 3, 6, 9, 10 and 13 doesn't seem to have any effect. words 5, 8, 4 and 11 are floating point numbers encoded as signed integers. Divide them by 32768 to get the original value. Word 5 is a scale factor. double table; for(i=0; i<100; i++) table[i] = f(i/25.0); And stops computing if the derivative becomes negative or if the value exceeds 2. Unfortunately, more tests with lensfun got me confused, and for example, trying the "poly3" model gives completely different results. You can find below some tools which helped me reverse engineer the format, including the code to fix checksums. Tag 0x011b contains information to correct chromatic aberrations. AirScan is a Wi-Fi scanning utility for the Nintendo DS. It offers various filtering features to facilitate access point discovery. For example, it can be used to locate open access points in low WiFi density areas thanks to its sensivity. You can find the code on GitHub too : https://github.com/trou/airscan. IDA, until version 5.5, didn't understand the so-called "old abi" of MIPS ELF binaries. I wrote this IDAPython plugin which parses the ELF itself to resolve calls to external libraries. It also handles switch tables and internal symbols. It helps a LOT while reversing embedded binaries. It is partially based on the work of Julien Tinnes : mips.elf.external.resolution.txt. It also includes two little Python scripts (ident_func.py and ident_func_le.py) to identify all functions in a binary, which helps a lot for cross references. MBSA is a tool from Microsoft used to verify if your systems are up-to-date. My tool uses MBSA's database to download specific updates, extract them, sort them on the disk, etc. It can be very useful to download several versions of the same file. You'll need the ruby-xml-smart library : http://raa.ruby-lang.org/project/ruby-xml-smart/. We (Raphaël Rigo, Romain Raboin and Julien Tinnes) gave a short talk at SSTIC 08 about some of the tools we wrote after the OpenSSL/Debian advisory to remotely discover vulnerable keys in authorized_keys files, decipher SSH traffic and retrieve DSA private keys (even from non weak keys). We also wrote an article in french in this MISC issue. The main page for those tools is there but you can find my tools (written with Yoann Guillot) to decrypt vulnerable OpenSSH session captures on Yoann's Github :https://github.com/jjyg/ssh_decoder and the keygen tool here : https://github.com/trou/ssh_key_keygen or here : ssh_kex_keygen-1.1.tar.bz2. If no licence is specified, consider it's GPL v3.